Alessandro Maran, a lawmaker from Italy’s Democratic Party (PD), said that referendum in Italy on constitutional reform could bring the European integration process back on track. MOSCOW (Sputnik) — In case Italian voters approve constitutional changes in a referendum, it will stimulate the European integration process as a "yes" vote will boost positions of Prime Minister Matteo Renzi’s center-left government in Europe against the Italian populists and right-wing parties, Alessandro Maran, a lawmaker from Renzi’s Democratic Party (PD), told Sputnik on Saturday. On Sunday, Italy is due to hold the referendum on constitutional changes primarily aimed at eliminating equal powers of two parliament’s chambers and thus avoiding political instability and frequent fall of governments. As far as Renzi staked his future on the outcome of the referendum, the opposition tried to use a vote on reforms as a tool to express overall dissatisfaction with PD policies and the prime minister’s record in office. "If, as I hope, the Yes camp prevails, Renzi's government and PD will play a vital role in Europe. It would be a great opportunity for our country and could bring the European integration process back on track," Maran, the Senate’s Constitutional Affairs Committee member, said. Polls cannot be published in the last two weeks of campaigning, but most polls before this time limit predicted that Renzi-lobbied reforms were unlikely to pass. A poll conducted by Ixe for Agora-Rai3 TV station showed that 42 percent of voters did not want constitutional changes, 37 percent are in favor of them, and over 20 percent of respondents remained undecided. 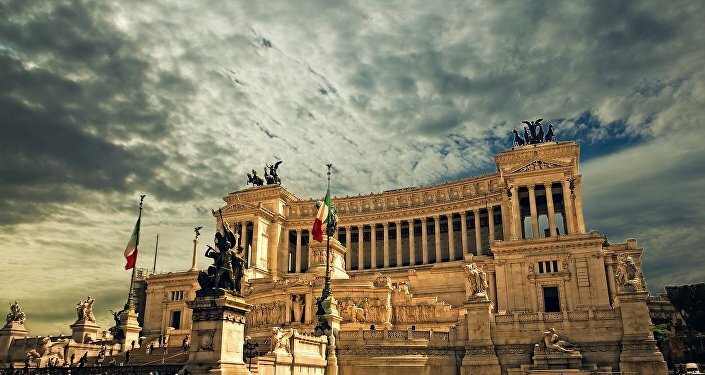 The Italian senator suggested that the mood of the country was changing in favor of approval, citing the recent endorsement of Renzi’s constitutional reform by former Prime Minister Romano Prodi. "But even if the No camp prevails, Renzi will expand the electoral consensus beyond the traditional limits of the center-left (anyway the Yes camp could achieve not less than 48 percent) and solidify his leadership, with the prospect of going into elections stronger than before up against deeply divided opponents, a sort of chaotic jumble," Maran added. The opposition, including such right-specter parties as Forza Italia, Five Star Movement (M5S) and Lega Nord, has called on Renzi to step down if he fails to get the support of the majority of voters. The possible departure of Renzi with no new stable government in place put Italy at risk of snap election to form a new government with high probability of M5S, now polling at 31.2 percent, winning the elections on a euro-exit platform, thus causing an EU-wide crisis.